The Town of Estes Park is undertaking an effort to complete an up-to-date Master Plan for Stanley Park during the summer and fall of 2018, with estimated completion by the end of 2018. Stanley Park’s facilities serve as a special gathering place for the community and it’s important to carefully plan for the use of remaining spaces to best serve Estes Park. Feedback is an important part of this process, since the perspectives of community members and organizations are critical in shaping the plan's development. The Master Plan effort encompasses all of Stanley Park, bordered by US 36 to the north, Fourth Street to the west, Lake Estes to the east and Manford Avenue to the south. 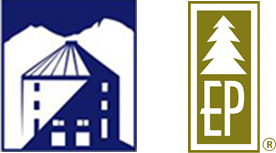 The plan will evaluate current facilities, propose options for future development of community amenities, and outline infrastructure requirements – all based on the needs of the community including organizations like the Town’s Events Complex and Museum, the Estes Valley Recreation and Park District, the Rocky Mountain Performing Arts Center and the Estes Park School District. What does this project affect? Stanley Park includes the land under the Town's former Senior Center, the Estes Park Museum, the Estes Park Event Center and the Fairgrounds. It also includes the ball fields and recreation areas east of Community Drive. The land was bequeathed to the Town by F.O. Stanley and two other families. The Town leases approximately 27 acres to the Estes Valley Recreation and Parks District, which is an active partner in this master plan process. Currently there are several separate master plans for Stanley Park, including one by the Recreation District, one for the Museum and former Senior Center and one for the Fairgrounds. The current planning effort will look at the site in its entirety, including the existing master plans, and coordinate planning across the entire site.